MainOpEdsWhat if the US had a French president? How would a French president react to the recent spate of anti-Semitic incidents in the US? Israel Singer, then chairman of the executive committee of the World Jewish Congress, offered another perspective on Chirac’s views on anti-Semtiism. He recalled how a few years earlier Chirac had told him Jews are the cause of anti-Semitism in France and everywhere else. The basic truth should be emphasized here once again: that anti-Semtiism is caused by anti-Semites and not by Jews. Only toward the end of 2003 – three years after the beginning of its massive outburst -- did Chirac finally turn around and say that France had to combat anti-Semtiism. Some prominent deniers of anti-Semtiism persevered however. In February 2004 former French center right Prime Minister Raymond Barre and former socialist EU Commission President Jacques Delors denied on television that there was anti-Semtiism, specifically including Muslims and French schools – two of the main focuses of complaints from the Jewish community - in their statement. This comparison shows that Trump is far more positive toward the Jews than a selection of past French leaders from the right and left. It also proves also that American Jewish organizations have far more clout than the ones in France, which is the European country with the most Jews - about half a million. Greer Fay Cashman, Katsav's France visit a 'surprising' success," Jerusalem Post, February 22, 2004. 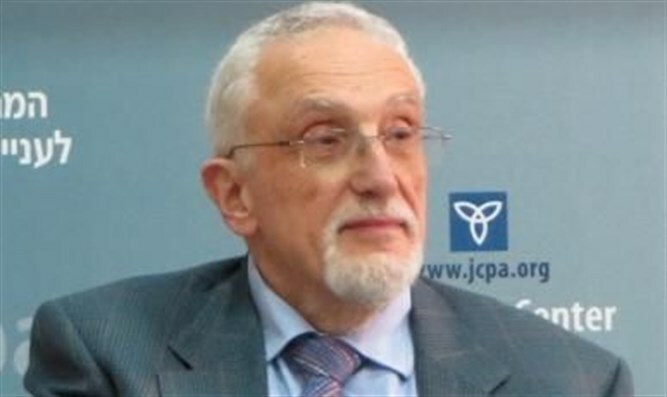 Manfred Gerstenfeld, interview with Marvin Hier, “Building a Major Organization from Scratch, American Jewry's Challenge: Addressing the New Century, (Lanham, Maryland: Rowman and Littlefield, 2005). Pgs 187-188.